Mr. Vogt's P.E. Blog: Welcome Back! 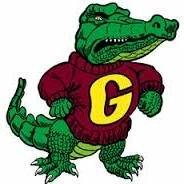 I have really enjoyed catching up with all of our Glengary Gators this past week after our summer vacation! And it has also been great to get a chance to meet our newest Gators as well! For those who don't know me, my name is Bob Vogt and I will be your child's P.E. teacher this year. 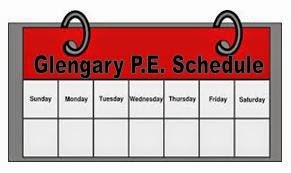 This will be my 5th year teaching Physical Education at Glengary Elementary, and my 18th year as a P.E. teacher in Walled Lake. As your child's teacher, it is my goal to help instill a love of movement and physical activity and encourage them to be physically active both in and out of school. 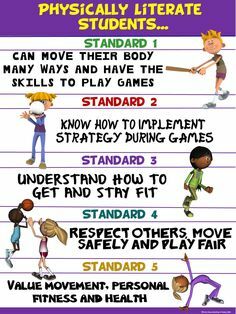 As your child learns new skills in P.E. throughout the year, please encourage them to to share these with you and try them out at home as well. Maybe you could even start a family fitness night! I am really excited for all of the great things we are going to do at school this year. I look forward to working with you to help your child build a foundation of skills that will help them to be physically literate, active, and healthy for a lifetime! Are you a Twitter user? If so, you can follow me on Twitter @GlengaryPE. I have found that Twitter is a great tool to give parents a quick snapshot of what the kids are doing in the gym when they come to PE. I try to tweet pictures and/or video of students on a daily basis throughout the year. If you choose to follow me, this is a school account and I only post things that are associated with Glengary Elementary and our Physical Education program. Please also be aware that I follow the forms that you filled out at the beginning of the year as it pertains to posting your childs image/photo. If you indicated that you do not want your child's image displayed on the internet, I will not post a picture of your child. If you are not a Twitter user, I hope you will check it out and think about following along! You are not fully educated, until you are Physically Educated!